You enjoy writing. Sometimes you think that you would like to take it up as a hobby and it would be great if you could make some money from it. You may be looking for freelance writing jobs or you may have seen the phrase around the internet marketing world but everywhere you look people are asking for copywriters. But what is copywriting? Apart from seemingly being the new big thing, it is writing that promotes a person, opportunity, idea or opinion. Copywriting is designed to sell something. It is basically advertising. There are lots of mediums that make use of copywriting and copywriters outside of the internet; television ads, radio commercials, billboards, bus ads, newspaper ads, magazine ads, etc. Copywriting has been around forever and continues to be more popular, so what is its purpose? It is particularly designed to persuade, entice, motivate a listener or in the case of a website a reader to take action. That step could be anything from buying a product to subscribing to a newsletter, from sampling a product to participating in a survey or poll. You can also make use of copywriting to persuade a reader to not do something or not trust something. What Types of Materials Make Use of Copywriting? Body copy, headlines, slogan, direct mail pieces are biggies, taglines, jingle lyrics, slug lines, scripts, captions, the World Wide Web, news releases, research and white papers and Internet (website) content. It’s a pretty extensive list, isn’t it? And it’s just the tip of the iceberg too. There are also things like print ads, mail order catalogs, brochures, postcards, greeting cards etc. Copywriting is an excellent line of work to be in if you are any good at it, as there will always be work. You will have seen that just by looking for freelance writing jobs. Copywriters are highly paid in the writing world, but have to be extremely proficient in the skill. 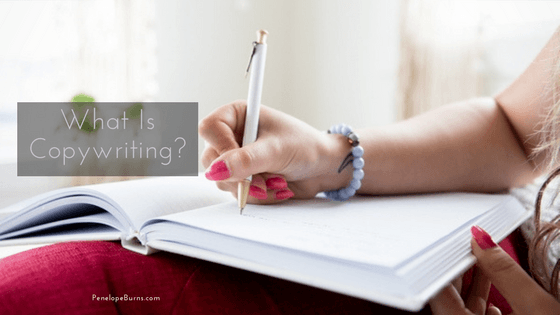 What About Copywriting For Websites? When used on websites, copywriting usually refers to the method or style of writing and wording content that is slanted to achieve higher rankings with the search engines (SEO or search engine optimisation). This is actually known as content writing which means the proper positioning and repetition of keywords and keyword phrases on a website. At some time, writing content for websites served as a means of getting better rankings because the writing was geared to the search engine algorithms. That is no longer the case and writing is now more geared to human visitors and search engines. Another form of viral copywriting can be in putting a lot of content on other people’s blogs. In fact, you can pay to have your product promoted on different blogs for a set fee. You may not have to choose the copy related to your link, but it can be a straight mention on a blog that may have hundreds, or even thousands, of readers. The trick with this type of writing is to produce fluent and readable copy/content written with an eye to search engine optimization. Do You Need To Be a Copywriter? Being a copywriter is very similar to being a salesman. However, you want your readers to engage and want to buy your product because they believe what you write and think it could help them. Everyone wanting to produce written content needs to be a copywriter. When you are writing, try to think about what value you are giving people. Good copywriting is communicating well with your audience. So yes, you need to be a copywriter.